Bringing cryptozoological awareness to the public. The Oxford English Dictionary defines the word cryptid as “An animal whose existence or survival is disputed or unsubstantiated, such as the yeti.” For the following witnesses to living cryptids, there is no dispute. In this series of National Cryptid Society’s case files, you will read what the witnesses have experienced in their own words. Keep an open mind when reading these accounts, and also remember one’s perception and memory of an event can be influenced by the emotions felt at the time of the occurrence. The contributors to this series of articles are doing the best they can to recount what are in some cases very shocking and traumatic experiences. If you have a personal cryptid sighting story you would like to tell us, our contact information is at the bottom of this article. “It was the first of many times that we went out camping in the Anza Borrego State Park. I loved being out there, and the Mojave (general area) is one of my favorite places to camp. This was back when I was still stationed in San Diego, and was still in the Navy, putting this around a late 2012, early 2013 time frame. I would always go out with one of my best friends, who we’ll call Mike, because that’s his name. We’d usually bring someone else along, because three people can carry more booze than two. It’s about a three hour drive, with the stops we made, from San Diego, and there’s this little spit of a town that we pass through and grab a quick bite to eat at. Can’t remember what it’s called, but it’s after the border patrol checkpoint. That first time was amazing, easily the best camping trip I had been on before. I grew up in cities, and had never seen the Milky Way before. I had my head out the car window the entire time after the sun set. We eventually found the entrance to where we wanted to start hiking at, parked the car, and got everything all ready to go. Before we started off though, we decided to hop up this ridge, because why not? Turns out we were at the eastern most part of the park before you hit the flat desert. Between the clear skies, the stars, and moon, visibility was great. You could see for miles, but things were silhouetted and dark, because it was night. That’s when we spotted it. It was a figure walking alone, was definitely bipedal, and had a pretty good pace. The guy had to have been at least one or two miles away from the looks of it. I’m not too good at guessing ranges, so who knows how far away it really was. Probably closer now that I think of it. Being a former Boy Scout, I had packed my personal pair of binoculars, really good military grade ones (because I stole them from the boat). When we got them focused in, we were able to get a pretty good look at the guy. This is the part where I start feeling really silly, because it’s like what everyone says. Big guy, hairy, no pack, a weird gait, classic Bigfoot description. He looked kind of grayish, but that was because of the light. We could make out facial features like a nose, mouth, and eyes, but nothing was really in detail, he was far enough away. We sat there and watched him for a while, passing the binoculars back and forth and knocking back a couple of beers. Eventually he got far enough away that his back was facing us. He never stopped to look at us, didn’t yell or screech or howl, nothing. We just sat there, watched him, and drank beer. We camped out and explored the canyons and arroyos for the next two days, and nothing else happened. In fact the only other weird thing we ever found in the three years we camped down there was a shovel next to an empty hole. Buy us a coffee? 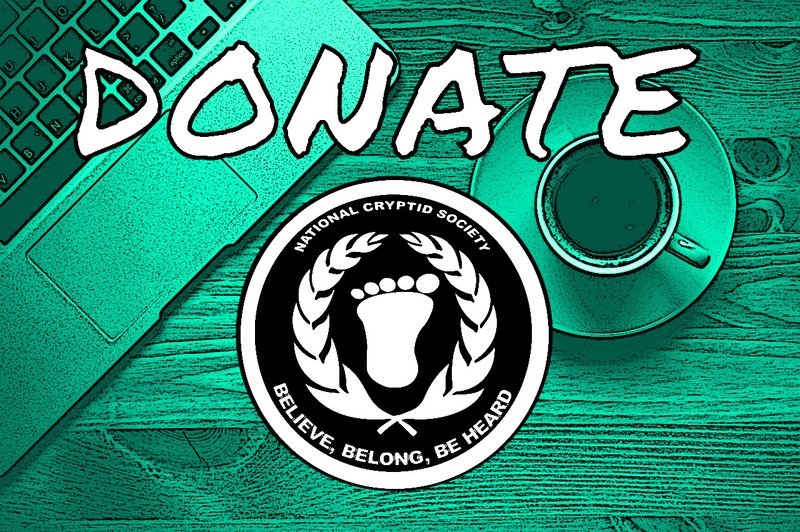 If you enjoy the content on this site please help us fund it buy making a small donation in order to offset our costs. Get paid to share this page. Best Cryptid T-Shirts on Amazon. Highest Rated Trail Cams & Accessories.